The solar eclipse didn't cause the mass havoc some had feared. There were no massive traffic pile-ups, unruly sun-watchers, or epidemics of damaged retinas. Ah, but then there are those salmon. Washington State officials are urging the public to catch as many salmon as they can after it was discovered that high tides resulting from the eclipse damaged a net pen holding 305,000 farm salmon at a Cooke Aquaculture fish farm near Cypress Island, allowing an unknown number to escape, the Seattle Times reported. The prison pen bust-out was discovered by fishermen over the weekend when they pulled up spotted, silvery salmon instead of the chinook they were expecting. No one knows how many fish made the big break, but officials from the Washington Department of Fish and Wildlife (WDFW) say it's at least 4,000 to 5,000. The fish are about 10 pounds each. Cooke is blaming the escape on “exceptionally high tides and currents coinciding with this week’s solar eclipse” although the pen apparently collapsed on Saturday, a few days before the eclipse. 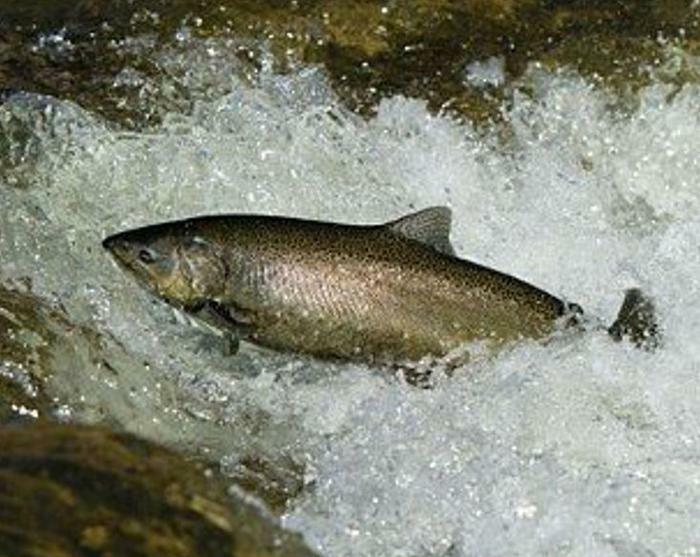 Fishermen and wildlife officials are worried about the effect the farmed salmon will have on the native Atlantic salmon that inhabit the waters in the area. WDFW officials are urging licensed fishermen to catch as many of the farmed salmon as they can.